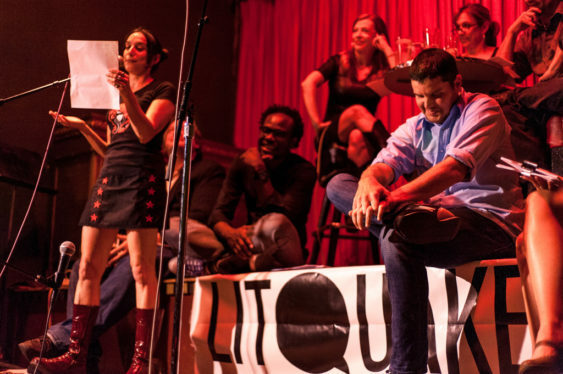 San Francisco’s legendary annual Litquake festival features hundreds of authors, poets and journalists in a myriad of separate events throughout the Bay Area. It’s all meant to foster interest in literature for people of all ages, perpetuate a sense of literary community, and provide a vibrant forum for Bay Area writing. Since 1999, San Francisco’s annual Litquake literary festival has drawn book lovers of all types to enjoy words and ideas, straight from the artists’ mouths. 7 pm – Energy: A Human History with Richard Rhodes Ralph Lewin etc. 7:30 pm – Paul Madonna and Glen David Gold Are Drunk: What Better Way to End the Festival?